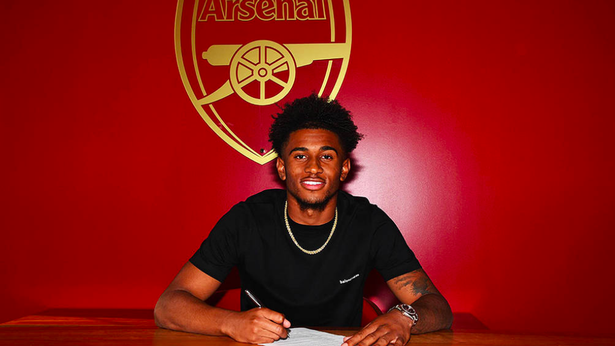 Arsenal have officially announced a new deal on Friday for Reiss Nelson but will be shipped out on loan to Hoffenheim ending months of speculation about whether the 18-year-old would extend his contract, which was due to expire next summer. The Gunners will receive a €500k loan fee from Bundesliga club Hoffenheim to take Nelson on loan, according to reports in Germany. “I’m delighted. It’s been a long time coming now, so I’m just happy everything’s sorted out and I can sign a contract for a great club. Emery has been impressed by the 18-year-old since he succeeded Arsene Wenger but admits the highly-rated winger needs a regular first team football if he is to continue his rapid development. ‘It’s a very big chance for him and the level there is important,’ said Emery.